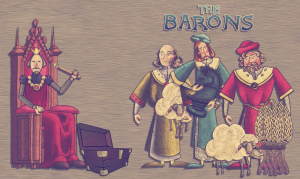 We’ve had a great year and were very proud to pick up TWO Royal Television Society Awards for our portfolio of work on Magna Carta – Best Non-Broadcast Production and Best Post Production. 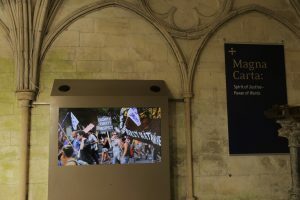 We were commissioned to create the screen media for the fantastic Spirit of Justice, Power of Words Magna Carta exhibition, at Salisbury Cathedral. 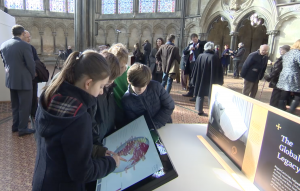 Salisbury have one of only four original 12th century documents left in existence so it was a great honour to work on this important project. We had four teams working on different deliverables – an interactive touch screen globe, the King John animation, an immersive film using archive footage portraying man’s struggle for freedom and incorporating highly creative editing and graphics by Vitor Vilela, and a short film called My Charter where we collaborated with a local school’s 6th form to create a film about a modern day charter for young people. 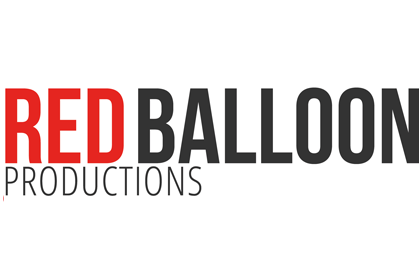 All project teams included a range of current BU students, staff and graduates and media professionals. The content had to be ready for the opening of the exhibition in Feb 2015 and we had approximately 6 months to fulfil the brief – it was a huge ask. But we enjoyed the challenge and really loved working with the Cathedral team and the designers Haley Sharpe. 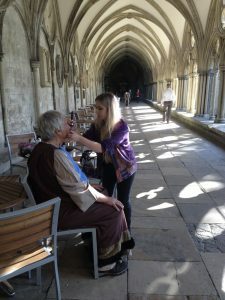 Once the main project was complete we worked on two further films – Elias which tells the story of Elias De Dereham who designed and built Salisbury Cathedral and was there at the sealing of Magna Carta. 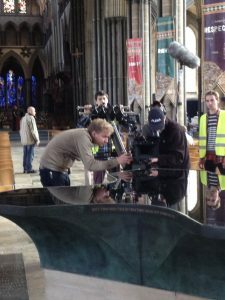 Poet and writer Sean Street created an amazing poetic narrative for us, and we filmed in and around The Cathedral using our Arri Alexa. Andrew Cuthbert did a great job for us playing Elias. The pic below shows Liv Dawson applying Andrew’s make-up. Trevor Hearing Directed, Mark Bond was DOP and Clemens Majunke assisted. 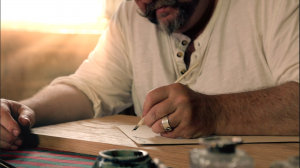 We also produced another filmed Writing The Rights, this shows how Magna Carta was made – what pens and ink they used and the techniques of the medieval period. 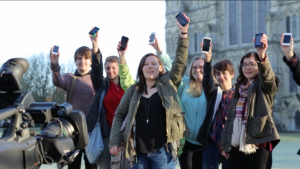 We have also had over 50 students creating a mobile App – a series of games for younger people and children to use – all connected to a visit to the exhibition – this will be published shortly. 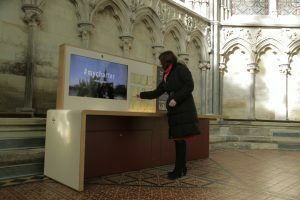 We are currently working on another App – one that will allow visitors to explore Magna Carta document in extreme close up, using a touch screen. Over 250,000 people have visited the exhibition in 2015/16! All in all a major piece of work, and such an important and enjoyable project, and we are looking forward to continuing our relationship with the Cathedral and working with others on similar heritage based projects.